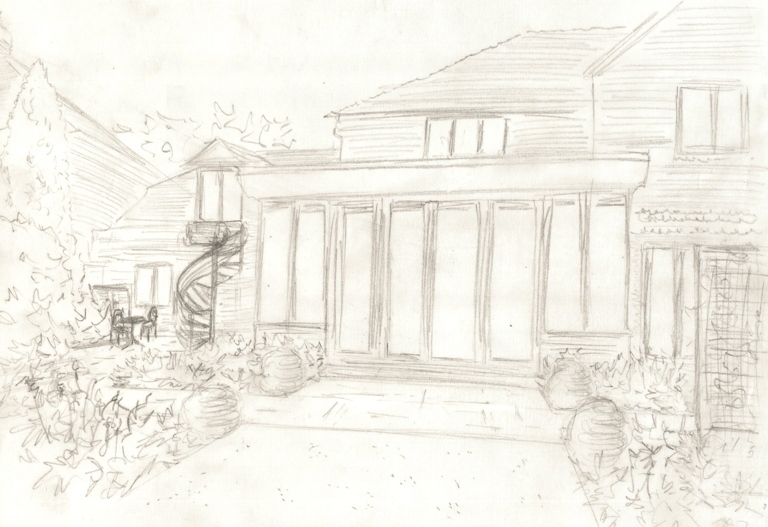 I know, I know, I have already showed you a concept design and sketches this week for a garden in Sutton, but I wanted to show you the sketches I put together for a garden in Cobham as it’s a really exciting project and one that has been a little challenging to tie all together. I am working with Bicknell Interiors on this job and they are carrying out extensive works on the house at the moment. 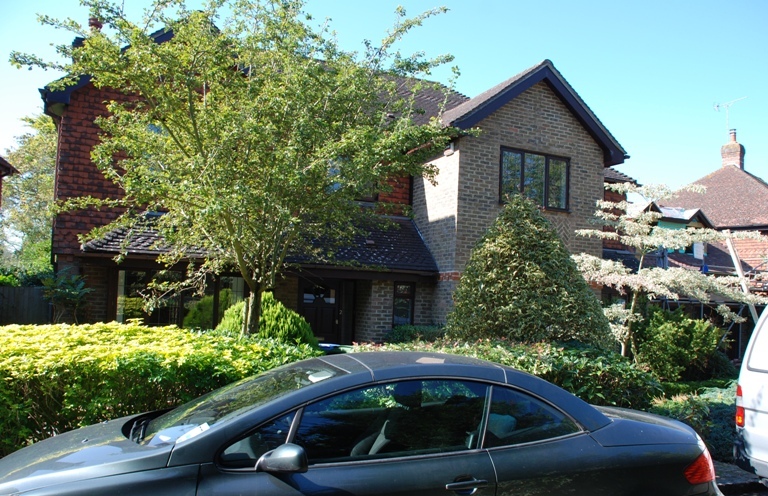 The new conservatory and garage extension mean that the areas immediately surrounding the house need to be updated and the front garden requires a more sophisticated and clean look and feel to reflect how the house will look when work has been completed. 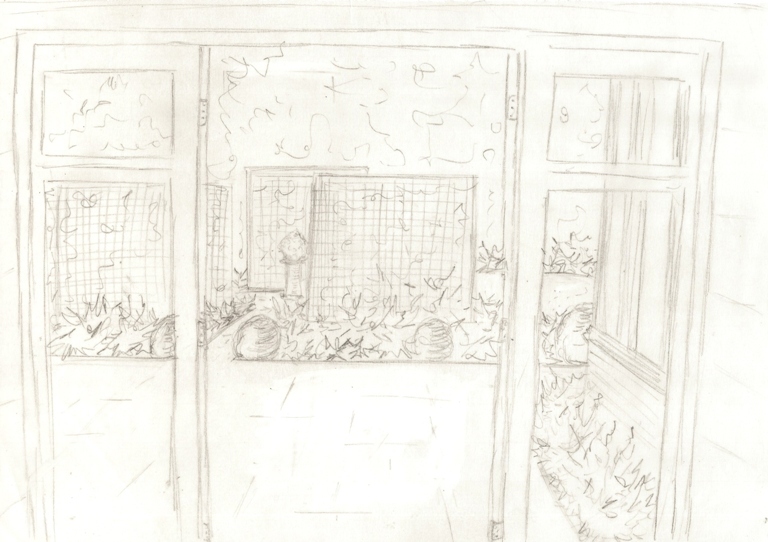 As you can see, I have used trellis panels to provide a screen between the courtyard and the rest of the garden. The water and mirrored trellis panel you can see on the far wall provides an attractive focal point from the new conservatory. This is the view of the courtyard from the dining room and you can see the staggered trellis from a different angle here. The idea is that the pathway between the trellis panel looks to lead you to the focal point (an existing terracotta scultpure) only, but it actually turns behind the left hand trellis panel and leads you on to the lawn. 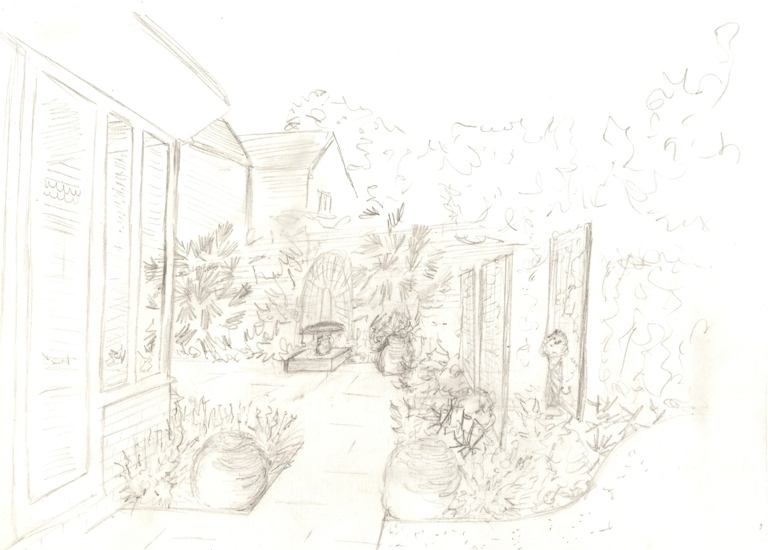 The trellis will allow light through to the courtyard whilst defining and separating the two spaces. 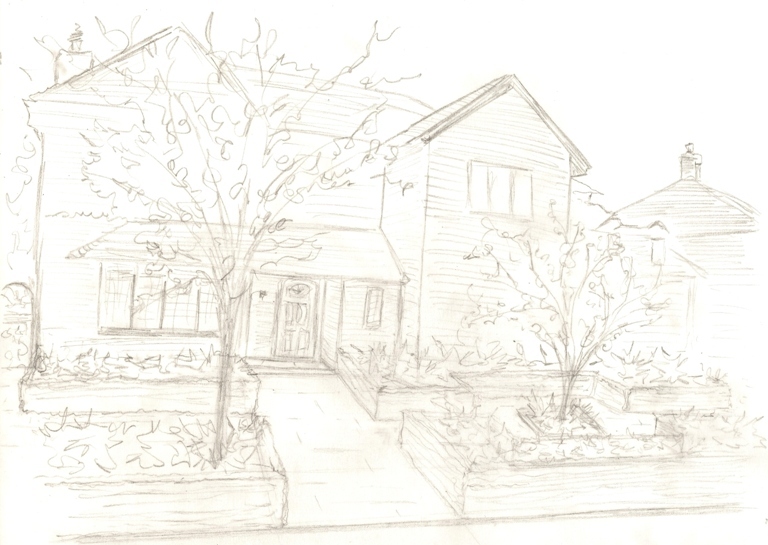 This last sketch shows the area outside the doors to the conservatory extension and round to the spiral staircase that will be installed when the second floor garage extension has been completed. This area will house a BBQ and provide bistro-style seating. Currently this is a space without a purpose, an area in which to store the rubbish bins and to access the front of the house.